Shelbourne booked a date with Sligo Rovers in the FAI Ford Cup final courtesy of a 3-1 win over St Patrick's Athletic in Richmond Park . 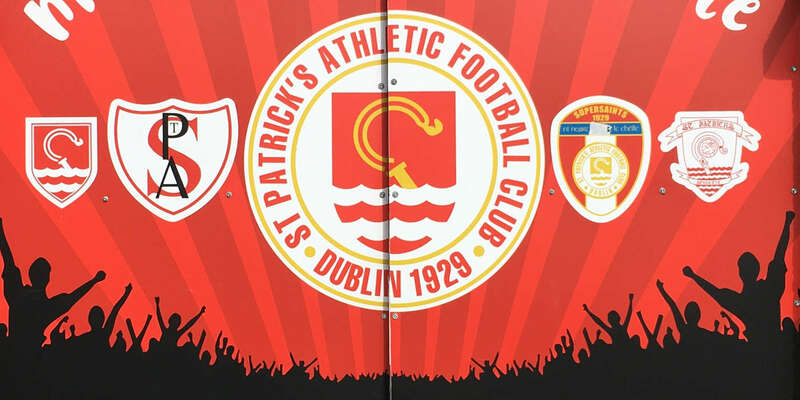 David McMillan put the Saints ahead with a header that should have been dealt with by Shels keeper Dean Delany before Kevin Dawson equalised from the penalty spot after Gary Rogers had been red-carded. The visitors took the lead in the 48th minute when Brendan McGill was left unmarked at the back post to drill home. David Cassidy wrapped up the win with a breakaway goal four minutes from time. Pete Mahon brought in David McMillan and Brian Shorthall in place of the suspended Anto Murphy and Derek Pender while Alan Matthews made just one change to the side from Friday night's draw with John Sullivan replacing the suspended Colm James. The game started at a lively pace and by the sixth minute Pat's had threatened twice but on both occasions Daryl Kavanagh slipped on the surface - which caused problems all night - after some good link-up play with Danny North. The Saints took the lead in the 14th minute when Kavanagh linked up with Derek Doyle on the left wing. Doyle's deep cross was met by David McMillan who headed back across the goal. Dean Delany came out to gather but North rose to challenge and the ball slipped through the keeper's fingers and into the back of the net. But the game really came to life in the 28th minute when David Cassidy challenged Ian Bermingham on the sideline. The Shels captain lifted himself up quickly and set Kevin Dawson away with a quick throw-in. 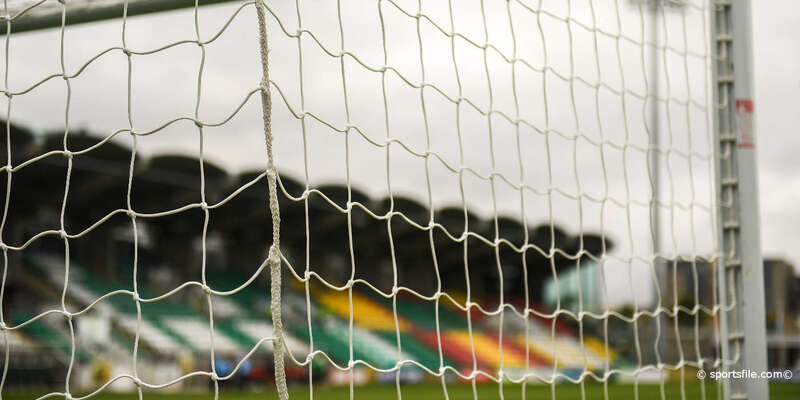 Dawson got a toe to the ball and as it broke lose Gary Rogers was adjudged to have taken down the former Sporting Fingal player and the referee produced a red card for the Pat's number one. Dawson kept his cool while Pete Mahon brought on Chris Bennion for David McMillan and sent the reserve keeper the wrong way from the spot. And Shels could have taken the lead moments later when Cassidy took Brendan McGill's cross-field ball in his stride. But the midfielder's curling shot went just wide with Bennion at full stretch. In first-half injury time Philip Hughes' back heel set up Cassidy again but Pat's got enough defenders back to block his shot. Just three minutes into the second half the visitors did take the lead. Hughes controlled the ball on the edge of the box and played a short pass into Cassidy. He spotted McGill unmarked on the back post and the winger drilled a low shot past Bennion from eight yards. The Reds then had a great opportunity to extend their lead when Shane McFaul bundled into Cassidy in the box. The referee immediately pointed to the spot but this time Bennion guessed correctly to deny Dawson his second. Pete Mahon introduced Ian Daly for McFaul and pushed McMillan up to strengthen his attacking options but Pat's, a man down, struggled to create any chances of note. In the 75th minute McMillan headed well over after Bradley's corner had been half-cleared and five minutes later Daly was almost through but the ball wouldn't come down in time and Shels got back to block two efforts from the substitute. The visitors killed off the Pat's cup hopes with four minutes left. Man of the match Cassidy was put through by Hughes and the captain turned inside the last defender before clipping the ball over the onrushing Bennion. 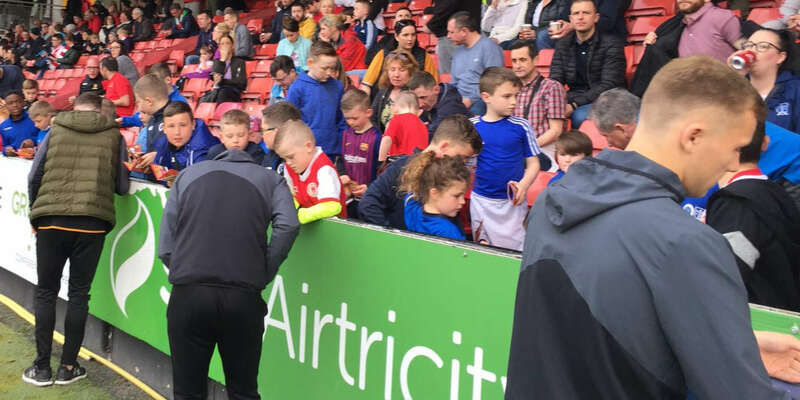 Alan Matthews led Longford Town to successive cup wins in 2003 and 2004 and he'll lead the Reds out against Sligo Rovers in next month's Aviva showpiece.